In the world of Information Technology, it seems that every year a new technology comes to hit the marketplace. A few years ago a technology bombard in the IT industries that can help organizations to take the burden of acquisition of software, servers, and people that are needed to spruce up enterprise services, shared technology solutions, and deployment of customized solutions. This technique is known as Cloud Computing. Cloud Computing Services has developed extremely well beyond the hype and now is entering the maturity phase. Escalation of Cloud Computing makes it particularly alluring for enterprises to find a service that fits their requirements: which is a challenge in itself. Generally, numerous organizations try to find the right fit, especially in the cloud storage services segment that is comprised of a variety of IT giants and newbie alike. Cloud Services has achieved momentous popularity over the past years and it’s all because of its flexibility, affordability, and self-service capacity. It can also handle numerous cloud computing platforms such as cloud, cloud server hosting, and cloud migration. These terms have been thrown so much and most of the people do not know exactly what it means. Before moving further, let’s discuss something about cloud computing. So the very first question that comes to everybody’s mind is cloud computing. Cloud Computing is extremely famous as it gives a perfect way to maintain enterprise’s data, websites, and applications. It uses virtual servers to store and maintain data which makes it easy for users to access it when they need it. In other words, cloud computing is a form of computing that to manage your all applications, information and resources in a virtual environment. It delivers shared computing software, data or resources through the web that is one of the most common ways of accessing the cloud. Infrastructure as a Service (IAAS): This model of cloud computing platform provides the basic infrastructural needs like virtual machines, server, and storage house. With the help of IAAS, you can run any workload in the cloud for instant value and productivity of your business. Software as a Service (SAAS): This cloud computing model eliminates the need to install full-fledged software and use it directly by accessing it through the clouds. SaaS is often referred as Software-on-demand and using it is akin to renting software rather than buying it. SAAS is generally referred to as those services through which users can access the internet related sites such as Google, Twitter, Facebook, and Flicker. Platform as a Service (PAAS): This model provides the required operating system, programming language execution environment, database and the web server. With the help of Platform as a Service allows a clientele to use the associated servers and virtualized server, so they can easily access the existing apps. They can even design, develop, test or deploy the applications. Cloud computing has the potential to change the way organizations view and deal with IT needs. 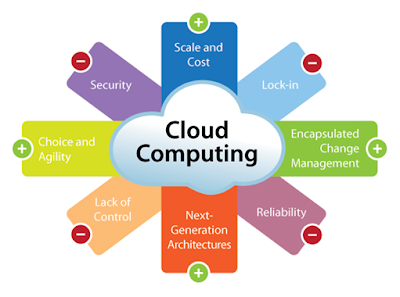 So, it is vital to include cloud computing for your current and future needs.